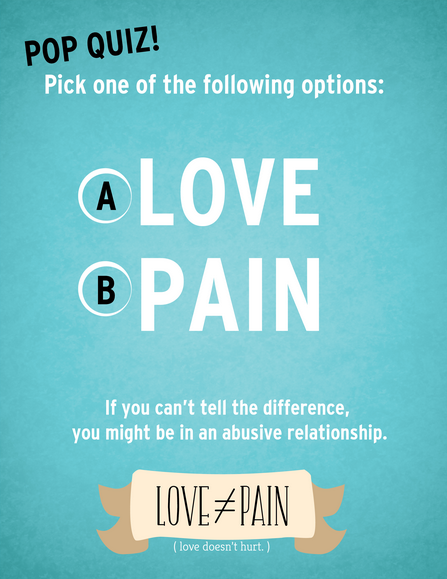 A newly launched campaign, Love Doesn’t Hurt, was put into motion to raise awareness about healthy relationships, teach students about abuse and assault, and to promote the need for a sexual assault centre on campus. For two years, the 2110 Centre for Gender Advocacy and the Women’s Studies Student Association at Concordia have been pressuring the university to create a sexual assault centre. Now, due to the lack of relevant resources on campus, Concordia Student Union Councillor Melissa Kate Wheeler began Love Doesn’t Hurt. “We’re trying to start a conversation, to get students to understand abuse and assault with two main goals,” Wheeler said. The first goal is to help people who are dealing with abuse to find resources and support them throughout the healing process, which can be difficult. Through posters, social media and workshops, Wheeler hopes to create awareness of the signs of abuse, help students identify disrespectful behaviour and point them in the right direction. Michaud wants to have an open conversation with students to discuss what is consent and how sometimes people can turn a “no” to a “yes” which still doesn’t classify under consent. Counselling and Development services at Concordia is an option but according to Wheeler, students must wait six weeks to secure an appointment because the department is “strapped” and overwhelmed. The second goal is to let students know about 2110’s sexual assault centre campaign and rally support for the project. Wheeler explained that the two initiatives collaborated their efforts to advocate that would address different forms of abuse. “Ideally, a sexual assault centre would be equipped to handle lots of different kinds of crisis, including instances of assault both on and off campus,” Wheeler said. According the to Sexual Assault Centre Campaign, one in three women and one in six men worldwide will at some point in their lives be a victim of sexual violence. The campaign hopes to reach 1000 signatures but as to date has 272 signatures so far. Michaud states that they’ve been in contact with the university and although they haven’t made any formal announcement, Michaud believes things are really moving forward. “I’m under the impression they … have some space lined up or a few options, so something will be happening, in the not long distant future,” she said. The CSU unanimously voted in favour of supporting the public awareness campaign and initiative during a regular council meeting last Wednesday. First-year John Molson School of Business student Darlene Waskiw said she believes that Concordia should have a centre on campus, so that more services are available for any situation. “These services should be available no matter what and we shouldn’t wait for a situation to occur to finally think there should be one,” she said. First-year English literature student Frankie Johnston also believes that students should realize how important it is to have services offered on campus. “It’s hard for people to go out of their comfort zone and look for help, but I feel that if the opportunity is right there then they will go for it,” Johnston said. The 2110 Centre is actively participating in the Love Doesn’t Hurt campaign, who Wheeler claims are “very happy with the initiative.” Representatives from both Love Doesn’t Hurt and the 2110 Centre attend one another’s meetings to collaborate on ideas. Wheeler states that more specifics of the campaign will be made public soon.